Have we really reached the age when not only do we have to watch our emails and Facebook accounts for spam, but now also our refrigerators? As it turns out, we have reached that age. A recent study was conducted by security firm Proofpoint, which came out with some alarming results. Watch your back, your emails, and now your appliances. 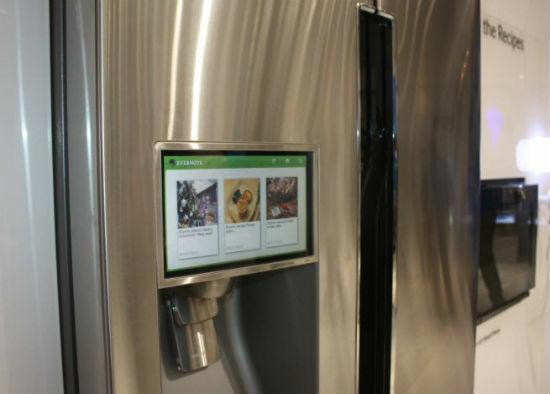 Is the Age of “Smart” TVs, smart refrigerators, and other “smart” devices as smart as we think? It is hard to say. Technology has come such a long way from the Zack Morris cell phone and dial-up Internet. Phones have gotten smaller (and then bigger again) and have more capabilities than we have time to use and access to the Internet is able to fit inside out pockets. The way we watch television has gone from black and white to cable TV to satellite TV. And even now, it continues to change, from customized packages available from retailers at www.saveontvdirect.com to portable devices that let us stream TV with the click of a button. The world demands information constantly; and the quicker we get it, the better. But is this a sign that we might be evolving too quickly when a smart refrigerator is threatening to hack into our identity and personal information? Many of us can hardly stand to talk about our current diets, let alone the information running through our computers and appliances. In this age of “smart,” it is becoming more important to be wise. The latest technology, although it takes these types of threats into account, cannot completely protect you or the information flowing from each of your devices or appliances. “As it currently stands, a very large majority of the devices that we allow on our network are pretty locked down. The smartphones, the gaming consoles, the laptops — they’re all running on tightly guarded operating systems, and (generally) receive regular updates for years after they debut.” But this does not mean you can sit back and relax and trust that everything is fine and dandy. Stay current on security updates and the support available from manufacturers. Many are aware of the threats out there, but it doesn’t make them–or you–impermeable to any breach. When all is said and done, you simply have to be smart about your smart devices and appliances. Your TV, if connected to the Internet, is a threat. Your laptops and phones are threats. If you are cautious, the chances of being hacked a lower, but never impossible. Know who is getting your information and where it is being stored. If you don’t know or simply don’t trust it, then keep it to yourself. After all, spambots and hackers have yet to penetrate the biggest database of your information–you.